The powerful HearClear HC64 digital hearing aid is designed to supply the high volume levels some people need, without the feedback! The HearClear HC64 hearing aid is what we consider to be a Super Power Behind-The-Ear hearing aid. This affordable hearing aid's great sound quality comes from HearClear HC64’s onboard digital sound processor (DSP) that features 12 bands of frequency shaping. 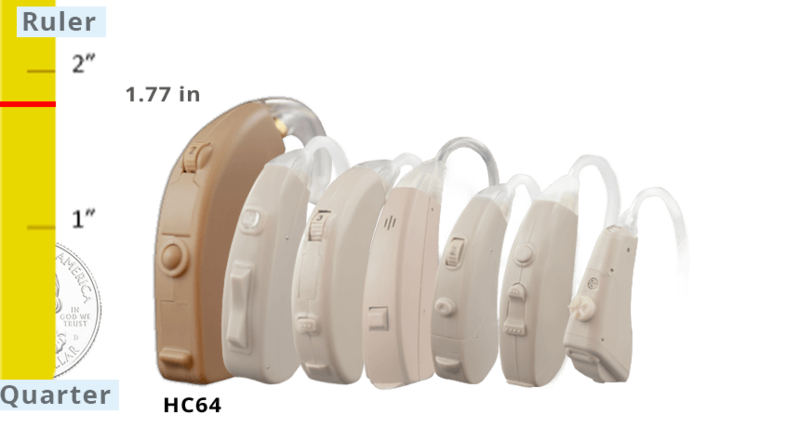 Clarity in noisy environments is important, and this powerful hearing aid delivers it with 10 bands of noise reduction that offer precise amplification of softer sounds and the human voice while dampening loud background noise. The HearClear HC64 also includes 3 pre-programmed listening environments, making for clear hearing in any environment. It also comes with an easy-to-adjust full range volume control wheel to keep the sound level comfortable. Not only does it come with all these great features, but it also comes with a low battery warning, so you are never caught by surprise! The HearClear HC64 is a full-sized BTE hearing aid, 1.71 inches in length. 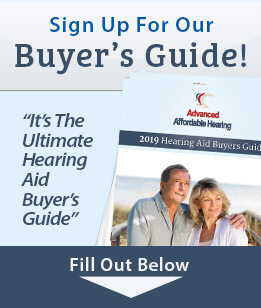 Not your ordinary cheap hearing aid, it is one of the few true power aids left on the market that uses a 675 battery and has been a lifesaver for many of our customers. The HearClear HC64 requires the wearer to adjust the bass-treble balance as well as limit the output to match their particular hearing loss. The adjustment is done using a tiny screwdriver and the quick and easy procedure is outlined in the owner’s manual. Warranty Included: 6 Month Limited Warranty and 30 Day Money Back Guarantee—Risk Free!